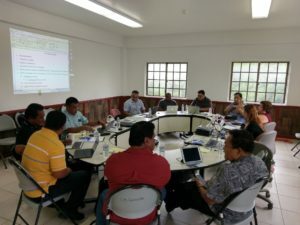 FSM – The Board of Directors of the National Oceanic Resource Management Authority (NORMA) in the Federated States of Micronesia (FSM) is supporting new measures at the Authority to adopt new technologies to improve on its ever challenging work to manage FSM’s oceanic fisheries resources. Board members and stakeholder meeting. “We recognize that the technology exists today to improve how we do our business and make NORMA decision making more streamlined and efficient while at the same time, being environmentally friendly. Many of our counterparts in the fisheries industry are adopting new technologies to become more efficient in harvesting our valuable resources and we on the management side must keep pace or even be a step ahead to ensure sustainability of our tuna resources, especially through better management and use of technology and access to relevant information and data.” Says Mr. Roger Arnold, Chairman of the NORMA Board of Directors. 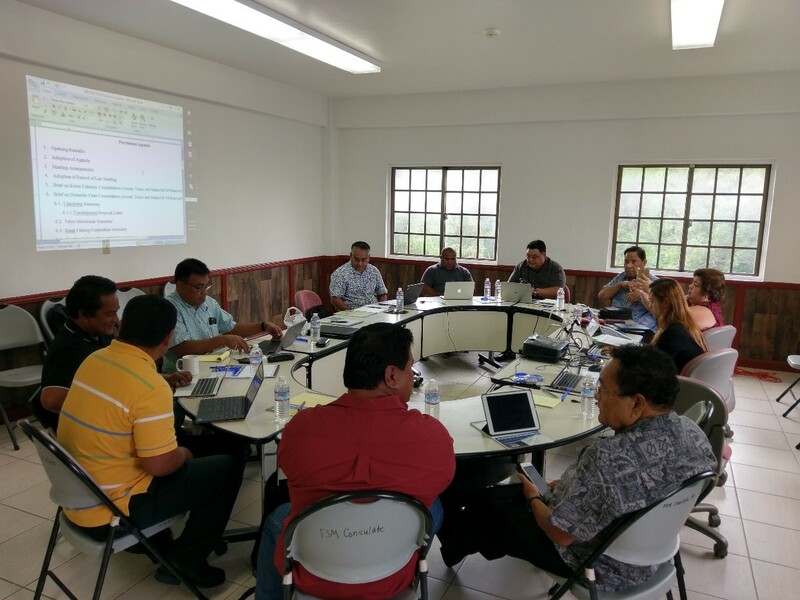 One of the first measures to be implemented involves the Board members as they are shifting to paperless meetings by fully utilizing the internet and laptops provided by FSM NORMA as part of its World Bank-funded PROP Project. This helps with the Authority’s environmental goals as well as its effort to improve on information management whereby much of the Authority’s work and processes are being automated. “The ability of staff to collect, process data and information and pass on to the Board can be greatly improved with these laptops,” says Executive Director Eugene Pangelinan, “and certainly more so when Board of Directors are from all four States of the FSM. The laptops will be used during official NORMA meetings, removing the need to print hundreds of pages each meeting and for communicating with our Board on a regular basis and maintaining better records of our business transactions. While the Board has been conducting paperless meetings for most of this year, the laptops will be issued at their next meeting during a negotiations meeting with bilateral partners.